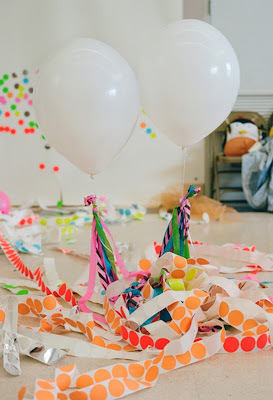 Cindo de Mayo may have come and gone but that doesn't mean you still can't throw a colorful celebration for that special someone or for that upcoming special occasion I personally am still smitten with the neon trend and especially love it in party decorations. The bright hues are instantly cheerful and uber festive, it just screams lets have some fun! Inspired by my for the love of etsy post I created a style board that is almost entirely available by fabulous etsy sellers. 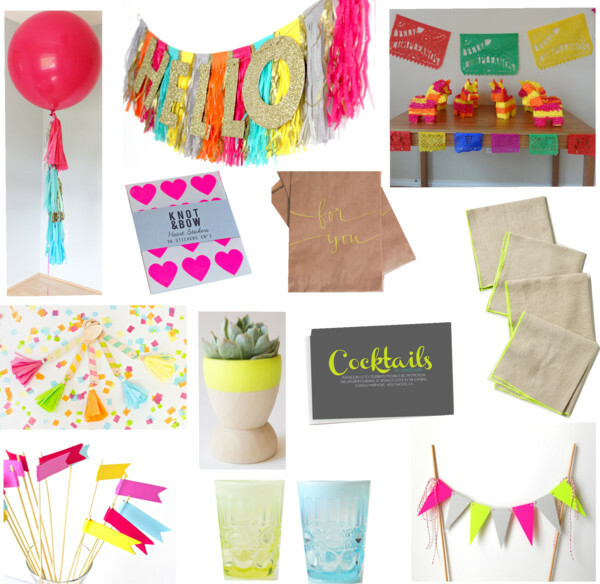 Check out all the neon goodness below and where you can purchase for your next fiesta! 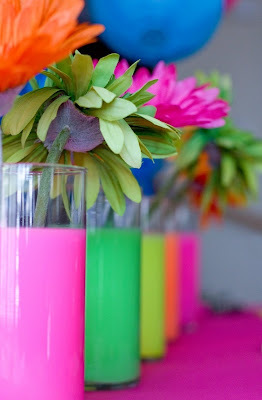 Oh and just for fun, a little neon outfit inspiration too! Want more neon party inspiration, check out some pretty over on pinterest! I love all this neon! And that hello banner is such a great etsy find - fun!